Watch-If you have a techy husband this is the best gift. My husband is a Droid guy so I would probably have to go with an Android watch, sigh. I'm such an Apple girl, everyone I know that has one of these watches absolutely loves them! This would be perfect for my husband when he is working-easy to clean, see text messages etc. 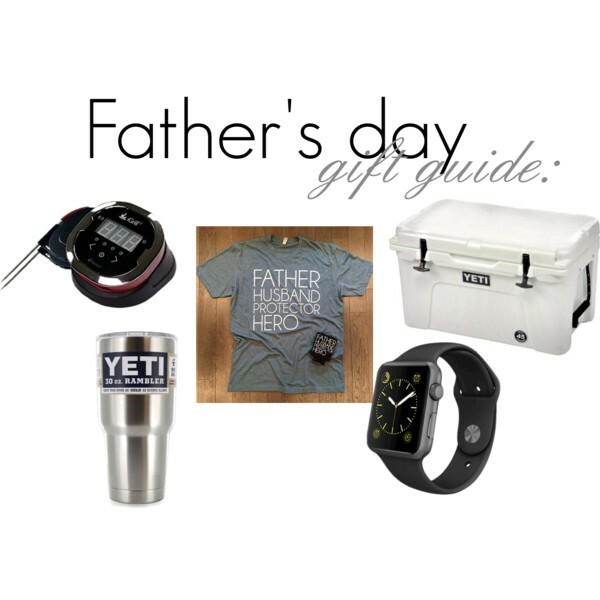 Cooler||Tumbler-I mean who doesn't love a Yeti!! My husband hasn't joined the Yeti club yet but will soon. If you want to go with something small and your husband doesn't have a Yeti rambler yet you must get one. They literally keep drinks cold and ice present in the cup for over 24 hours! Most importantly let your daddy's know what special fathers, husbands, protectors and heroes they are to you! !